22 Sep 2015: Thirty months and a week ago; 13 March 2013, the world had a new pope in a 76-year old Cardinal whom not many of us had heard. In our part of the world, Argentina is really from “the end of the earth” as Pope Francis puts it. That probably explains why Pope Francis’s pastoral visit to Cuba and his state visit to USA are not reported here. Local Catholics, engrossed in celebrating feasts of new harvest and Feast of Nativity, are not enthused. However, his schedule in Cuba and USA has a potential to impact our lives. Cuba is a communist dictatorship since 1 Jan 1959 when Cuban Revolution led by Fidel Castro and his Marxist-communist rebels succeeded in their decade long struggle to overthrew the authoritarian, dictatorial, military controlled and US-backed capitalist regime. Fidel Castro claimed that he liberated the poor and oppressed people from the clutches of corrupt rulers who looted national resources. He had to resort to armed struggle when the legal and constitutional methods did not succeed. But, USA did not hail him as the champion of the poor. Instead, it severed diplomatic relations. They have remained hostile to ever since. 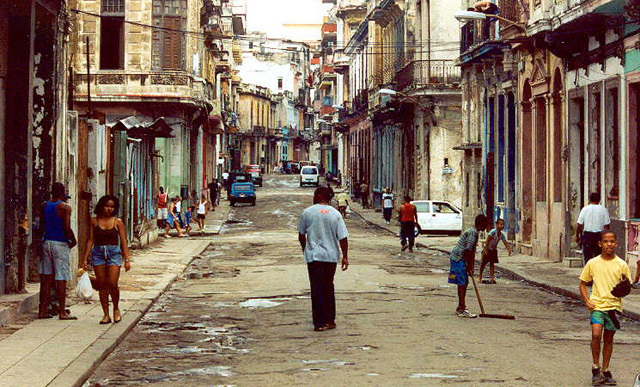 The US embargo on economic relations, trade and commerce, has hit Cuban economy hard. The Cubans are poorer today than when Fidel Castro ousted the corrupt capitalists with a million exiled in USA. Post-revolution, all private properties and businesses were nationalized. Fidel Castro became the ruler of Cuba, with his brother Raul as his heir-apparent. Che Guevara, the famous and feared Argentine ideologue of Latin American Marxism, was tasked with purging (executing) remnants of enemies of the revolution. He killed everyone remotely associated with the previous regime. On 18 March 2013, I wrote, in a Bellevision exclusive after election of an Argentine as pope: should (the Bombay Catholics) living in filthy slums be comforting themselves that eternal life awaited them if they remained poor and deprived of the earthly pleasures? I could tell that they did not like being poor and miserable but believed that was THE way of salvation! I was not so sure ‘that’ was what Jesus meant us to be. I was sure ‘that’ was not what Jesus was, not just another Marx. Jesus is much more than Marx, Che, Mao, Lenin and Gandhi put together. Unlike Bombay Catholics whom George Fernandes and Dange could not convert to the godless ideology of socialism-communism during their ‘have-not’ miserable days, their Cuban counterparts were not so resolute in their faith in Jesus. For Cubans, Castro, Che, Marx and Khrushchev held more appeal in their worldly existence, let the heavens wait. In 1961, the Cuban government nationalized all property held by religious organizations, including the dominant Roman Catholic Church. 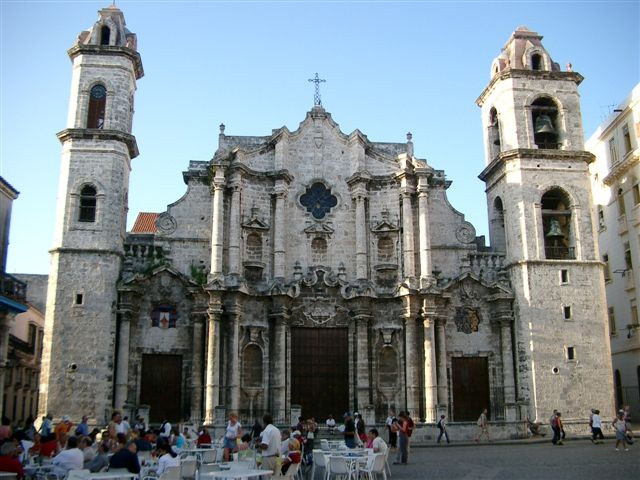 Hundreds of members of the church, including a bishop, were permanently expelled from the nation, as the new Cuban government declared itself officially atheist. Education also saw significant changes: private schools were banned and the progressively socialist state assumed greater responsibility for children. Pope Francis would not approve of the above sub-title. It is Jesus at work, he would say, as the humblest pope in our times. The day after his election, he celebrated morning Mass for gardeners, janitors and Vatican office workers. He did not preside over a Grand Mass Concelebration like what the Catholics are used to see popes, cardinals, arch-bishops, bishops and even senior vicars doing. And this Pope who has lived in US backed military controlled, dictatorial, corrupt to the core, right-wing regimes as well as overtly and covertly corrupt, leftist, socialist-peronist, popularly elected democratic regimes during his ministry in home country Argentina has cultivated relations between an atheist Cuban government and the Holy See. 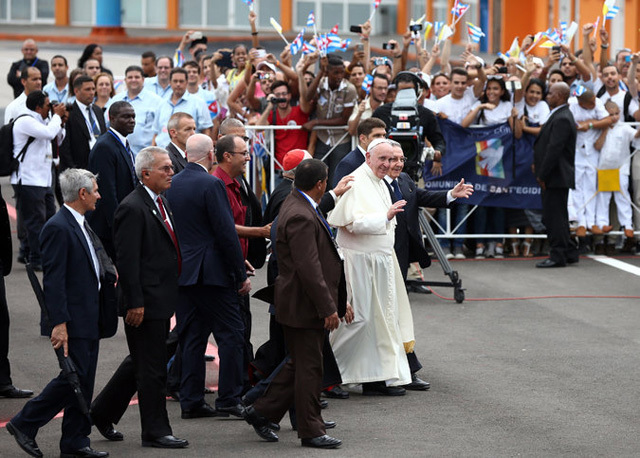 He is not the first pope to visit Cuba; both his predecessors have laid the ground-work. A Spanish-speaking Hispanic Papa however has THE advantage. Unlike his predecessors, he has shown sensitivity to issues of poorer Cubans. He used this advantage in brokering the historic thaw between Cuba and the United States. Pope Francis stepped squarely into the thorny realm of geopolitics. He sent letters to both President Raul and President Obama. He hosted secret meetings in the Vatican state halls. He nudged the Cold War enemies to put a half-century of vitriol and mistrust behind them. Pope Francis helped open up Cuba to the world. Could he now try to fully open up Cuba to the Roman Catholic Church? Alternately, would Roman Catholic Church truly embrace the poor like Jesus did? He has been accused that, back in the 1970s when Argentina was ruled by a military dictatorship, Vatican and Argentine Catholic Church did not stand up for truth but indeed made compromises of coexisting with repressive authorities in order to survive through complex and dangerous circumstances. The Cuban Catholic Church has also been criticised for its too timid approach with eagerness to maintain close ties with the government. It did not speak out for greater political and religious freedom and generally avoided inciting the wrath of the atheist government thus allowing the communists to make religion irrelevant. They could be the closet Catholics because the US State Department states that only 4-5% of Cubans are regular at Sunday Mass. Do they stay away because faith is not a priority? Can the church preach faith to empty stomachs? The people are trying to meet their basic needs. 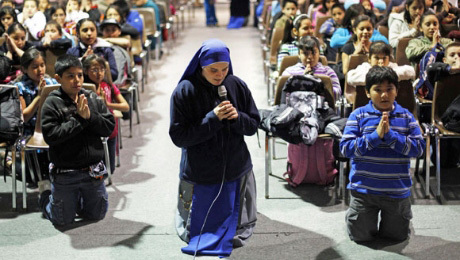 The church recognizes that and has begun to help address their basic needs: food and shelter. Talk of religion, social change and embedding of Catholic institutions can wait. Currently there are fewer than 350 priests for 11 million people. The Church is forbidden from running schools or hospitals, which is a standard ecumenical strategy of the Roman Catholic Church. Pope Francis is known to be blunt in talking to officials in private meetings. We can understand if he will not appear too harsh in public. He is also unlikely to meet the political dissidents while in Cuba. That would offend his hosts and jeopardise the détente. Religious freedom, human rights, greater space and role for Church in Cuban life- in worship and in delivery of social services- and allowing the church as a partner in the development of the country would certainly be on his agenda, according to the US ambassador to the Holy See. The Cuban Church has begun to win the public goodwill and political capital in the process by providing food and services to the needy, where the government is struggling to afford. In turn, the government is permitting construction of some new churches for the first time in decades and allowing the Church to organize youth activities and concerts. Cardinal Jaime Lucas Ortega of Havana on whom Pope Francis has to rely to execute Vatican’s strategy for revival of faith has fallen out of favor with political dissidents. They accuse the Cardinal of being soft on government and want him to publicly call for faster pace of political changes. The Cardinal no doubt is negotiating the tightrope: on one side he us calling out against government injustices and on the other side he is mediating and looking for space for dialogue, said a Cuban-in-exile Catholic businessman in Miami, sympathetic to the Church leadership. Pope Francis sooner or later will have to replace Cardinal Ortega. That will be one of his most complicated and important tasks in Cuba. Within three days, he will have to travel throughout the island, meet different bishops, laity church leaders, and gather inputs in order to make a personal evaluation of a new Cardinal in Havana. As elsewhere in Latin America, especially in dictatorial countries like Venezuela and including Cuba, a wide chasm exists between higher leadership (Cardinal and Bishops) and lower cadre of priests, (especially missionaries and Jesuits). The leadership is focussed on smoother government relations and naturally are cautious, timid and diplomatic; while, priestly cadre is focussed on the poor and naturally are passionate and frustrated at the leadership’s insensitivity to the poor. Pope Francis has been consistent in speaking out for social justice and the pitfalls of capitalism since he took office. He is personally frugal by choice and habit. The Cuban officials approve of his style and approach to global issues: President Raul Castro had even joked that Francis might even persuade him to return to church. That is a distant elusive goal. Cuba, despite the US hostility and collapse of Soviet Union, has survived to earn the reputation of being the last communist outpost, waiting to be won over to the free market economics. Would the Latin American Pope deliver the Catholic continent to market capitalism? President Reagan and Pope John Paul II (the Polish pope) were lucky to find a reform-minded ally in. General Secretary Mikhail Gorbachev. Gorbachev, in erstwhile Soviet Union, was keen to end the cold war in order to revive failing Soviet economy. He teamed up with the conservative market capitalists like Reagan and Thatcher to reform the structures of Soviet government. Taking advantage of Gorbachev’s conciliatory approach, Pope John Paul II broke the back of communism in his home country Poland and delivered it to western-style liberal democracy. As a domino effect, the Berlin Wall fell; hostile Germanys merged into one united German nation. Hungary was liberated. Soviet Union was dismembered with twelve countries leaving the federation. Even the Russian federation adopted a new democratic constitution with multi-party elections. Francis works in a style which is different from that of John Paul II. He has not yet indulged in politics in the Americas. But, now he has earned huge political capital by his role in the reconciling of Obama and Raul governments. For Obama’s democrats in USA, Hispanics are a vote bank whom they want to consolidate. Moreover, Catholics command influence, in US government, disproportionate to their population size. Six out of nine US Federal Supreme Court Judges are Catholics. 31% of members of Congress are Catholics, while Catholics form only 22% of the population. In Joe Biden, USA has a Catholic Vice President. He could be next President if he elects to run for presidency. Francis no doubt will not play into the hands of Democrats to polarise voters further but he will not hesitate to use the goodwill both in Havana and Washington DC during his 9-day long trip to these countries to advance his agenda: to deepen Catholic Faith. But it will be months before we see the results. Catholics in America are mostly liberal democrats many of whom do not subscribe to conservative positions of Pope Francis on abortion, LGBT rights and parenthood outside wedlock. 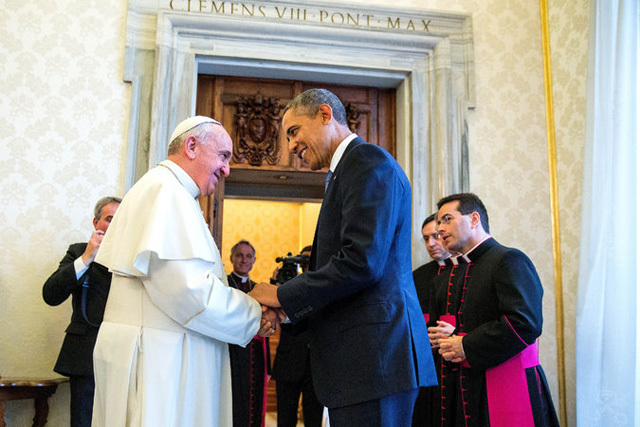 In USA, Obama will receive Francis at Andrew’s Air Force Base on Tuesday afternoon, the 22 September. It is gesture the president has extended to no other visitor. Both men currently are most powerful and globally respected leaders. They have near identical views on issues like economic inequality, immigration, climate change and criminal justice system. Pope Francis as a conservative in theological dogma like his predecessors has tried to polish his image as a liberal by re-orientating his priorities. He has brought compassion to centre stage, eclipsing the earlier church focus on judgement. How Francis would manoeuvre through the US political mine-field as processes of 2016 Presidential Race are in the offing. Every word he utters will be examined with hawk’s eyes. But, that is another story.